Home Basics How does a Solar Panel work? Tadiyass* All, how are we doing? Hope you are enjoying expanding your technical knowledge in Renewable Energy, especially in Solar. 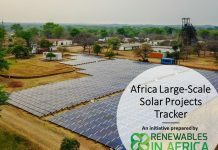 In this post, I would like to focus on the actual solar panel and find out exactly how it works? How does the magic happen between the solar radiations and panels generating electricity? I appreciate that for some of you, that may feel a little bit too technical and detailed. Other people in the company more technically minded will look at that in general. Well, to reassure you I have kept the language simple to make it easier to digest. My advice would be to stay relax and just enjoy the learning. That little light bulb in your brain will lit up and all will sink in. 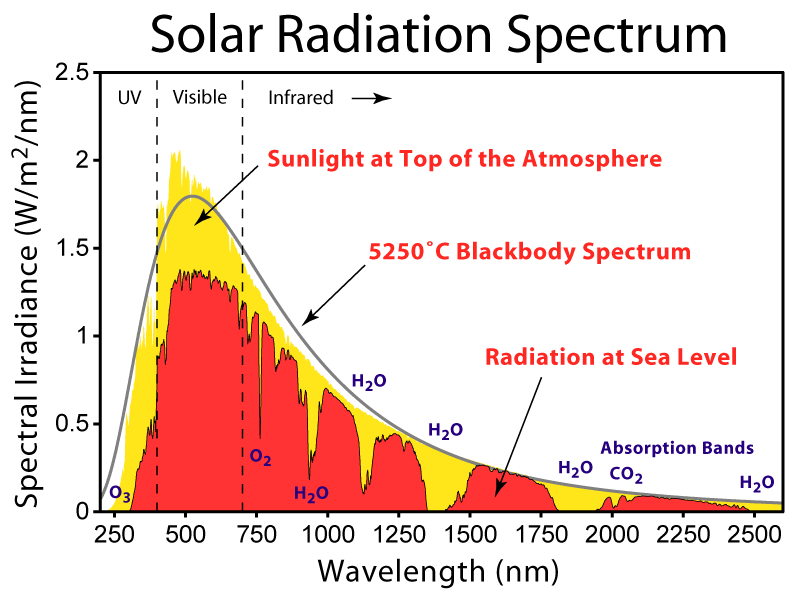 The energy in solar irradiation comes in the form of electromagnetic waves of a wide spectrum, split in 3 categories: ultraviolet or UV, visible and infrared light. Longer wavelengths have less energy (for instance infrared) than shorter ones such as visible light or UV. The diagram displays the spectrum of a sun ray just outside the entry into the earth’s atmosphere. The peak is within the visible spectrum, but there are still significant amounts of shorter and longer wavelengths present in this section. A proportion of this energy, the yellow in the graph, is absorbed by the atmosphere and only the red part is reaching the earth’s surface. This global solar radiation (measured by a pyranometer) reaching us is divided into direct radiation (focusable by mirrors) and diffuse radiation (unfocusable). The diffuse percentage varies considerably with the cloudiness of the sky and typical average is about 30%. The smooth line represents the spectrum of a black body, an ideal imaginary body that could absorb all electromagnetic waves. So, sorry my black brothers and sisters in here, I wasn’t talking about you. 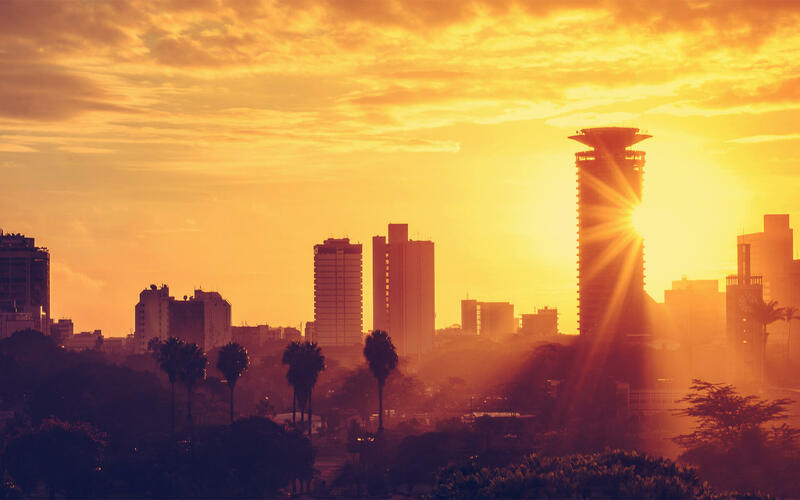 At the Equator, Kenya for instance, the value of the global solar radiation when the sun is overhead is 1,000 W/m². PV solar cells are made from semiconductors materials. As its name implies, a semiconductor conducts electricity better than insulators (such as ceramics) but worse than conductors (generally metals). Like in all matter, electrons in atoms are organized in energy layers, called shells or band. To conduct electricity, electrons need to move from the valence to the conduction band. As it could be seen from the picture below, the two bands are overlapping in a metal, making it easier to produce a current. In an insulator and semi-conductor, there is an energy band gap to overcome. If for the former, it is extremely difficult to break the gap, in the case of the latter, the valence electrons may be released by energising them (e.g. light or heat). They will then become free electrons and providing the excitation is higher than the energy gap, they will be promoted to the conduction band. At room temperature the energy gap is 1.11 eV for Silicon (1 eV = 1.60 x 10 -19 J). The value decreases slightly with increasing temperature. A PN junction is a boundary or interface between two types of semiconductor material, p-type and n-type, inside a single crystal of semiconductor. The “p” (positive) side contains an excess of electron holes, while the “n” (negative) side contains an excess of electrons. The PN junction is created by doping. Doping is the process of adding impurity to intrinsic material and altering conduction properties. I could see some of you asking why are we using doping? Well, the simple answer is silicon have very few free electrons at room temperature, not providing much electrical conducting. 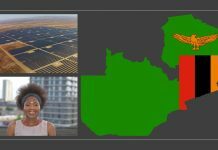 Having explained the notions of solar spectrum, semiconductors and PN junction, we could now properly respond to the initial question: how does solar panel work? Solar photocells catch sunlight that fall into the PN junction. Through the photoelectric effect, electrons that absorb photons will jump across the energy gap barrier, from the valence to the conduction band, and flow out around the circuit, generating electricity. The more light that shines, the more electrons jump up and the more current flows. So, the Current depends on illumination and area but the Voltage depends on built-in field between the P side and the N side. The output of a solar cell depends upon several factors: the properties of the semi-conductor material, the intensity of insolation, the cell temperature and the nature of the external loads the cell supplies. The current, measured in Amps, depends on the illumination and the area. So the sunnier it will be the more current will be generated. The voltage will depend on the built-in electric field of material used. For a silicon cell, it will be roughly 0.6 Volts. Many cells are stringed together in modules to produce more power. 12 photovoltaics cells are enough to charge a mobile phone. 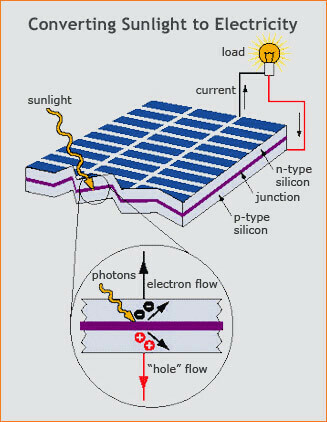 The power available, which is the main element used to rate solar cells, depends on load resistance and on cell’s current. 12 photovoltaics cells are enough to charge a mobile phone. 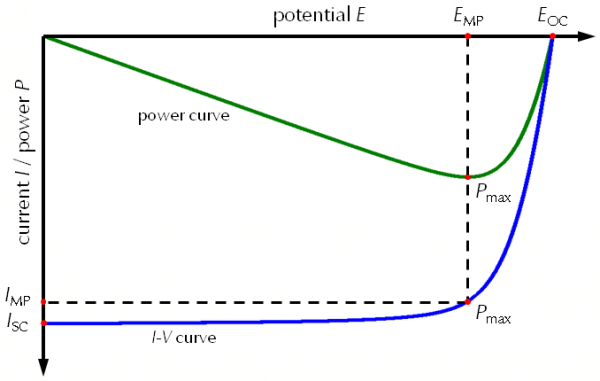 The combination of these factors gives rise to the characteristic operating curves, of generated current against the output voltage for the solar cell. Examples of these curves could be seen in Figure 6 and Figure 7. In the next post, we will be reviewing the different solar technologies. Until then take of yourself and look after our planet…Switch this device off when you’re done!! 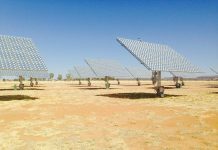 Next articleWhat are the different Solar PV Technologies?